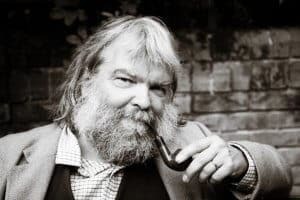 Fri, April 5, 2019, 7 PM "An Unexpected Music: How poetry can surprise us and deepen our faith"
In this lecture Malcolm Guite will open up a beautiful and accessible poems by Nobel Laureate Seamus Heaney, and show how it might help us to hear ‘a music we never would have known to listen for’ and bring a renewal to our faith. No registration needed. Held at Petra Academy in the Performance Hall. Sat, April 6, 10 AM "Songs and Sonnets" Malcolm Guite will be leading a poetry reading and discussion at the home of Laef & Anne Olson. Due to the smaller, more intimate venue, you MUST register to reserve a seat if you plan to attend. There are only 60 seats available. Please register one person per form entry. Thank you! Those who register will receive an email with location directions. 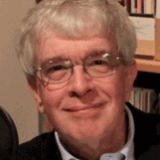 Sat, April 6, 2019, 7 PM "The Word Made Flesh: Poetry and Incarnation"
In this lecture Malcolm will show how the poetic imagination can shed new light on a central tenet of our Faith, That God became Man for us in Christ. Drawing on the Gospel of John and on writers from Shakespeare to CS Lewis he will show how the poetic imagination bears witness to what God is doing for us in Christ. No registration needed. Held at Petra Academy in the Performance Hall. Malcolm Guite is an English poet and singer-songwriter, Anglican priest, and academic. 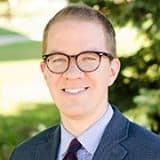 Wesley Hill (PhD, University of Durham) is assistant professor of biblical studies at Trinity School for Ministry in Ambridge, Pennsylvania, and author of the much-discussed book “Washed and Waiting: Reflections on Christian Faithfulness and Homosexuality”. He is on the editorial board and is a columnist for “Christianity Today”. He also contributes to “Books & Culture” and “First Things”. Ken Myers is the host and producer of Mars Hill Audio. He has interviewed hundred of leading scholars and public intellectuals on their areas of cultural expertise. He writes a regular column for Touchstone magazine and is the author of All God’s Children and Blue Suede Shoes: Christians and Popular Culture (2nd ed., Crossway, 2012). He also writes frequently for various publications, many of which are available online. Ken Myers lives in the rolling countryside of central Virginia north of Charlottesville with his wife, Kate, and daughter, Susannah. His son, Jonathan, lives with his family in Washington State. 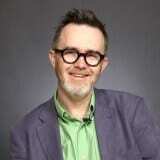 Rod Dreher is a writer and journalist whose writing primarily focuses on religion and culture. He is a senior editor of The American Conservative, and author of several books, including Crunchy Cons, The Little Way of Ruthie Leming, and How Dante Can Save Your Life. Dreher has written for the Wall Street Journal, the New York Post, USA Today, the BBC, and many other publications. He is an Orthodox Christian who lives with his wife and three children in St. Francisville, LA. James K.A. 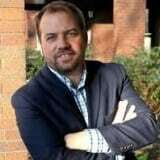 Smith is professor of philosophy at Calvin College where he also teaches in the department of congregational & ministry studies and serves as a research fellow of the Calvin Institute of Christian Worship. His numerous publications include Who’s Afraid of Postmodernism?, Desiring the Kingdom: Worship, Worldview, and Cultural Formation, Letters to a Young Calvinist, andThinking in Tongues: Pentecostal Contributions to Christian Philosophy. Jamie and his wife, Deanna, have 4 children and are committed urban dwellers who make their home in the East Hills neighborhood of Grand Rapids, MI. Questions about the Christ & Culture Lecture Series? Talk with Gregg Valeriano (406-570-9740).